Uber's current licence is due to run until 30 September. It has 21 days to appeal against TfL's decision and can continue to operate while any appeals are ongoing. Mayor of London Sadiq Khan said: "I fully support TfL's decision - it would be wrong if TfL continued to license Uber if there is any way that this could pose a threat to Londoners' safety and security." But one driver with Uber in London said: "I don't think it is a fair decision. Uber offers a flexible schedule, and a weekly income." Uber's general manager in London Tom Elvidge said: "By wanting to ban our app from the capital, Transport for London and the mayor have caved in to a small number of people who want to restrict consumer choice. Throughout its short, tempestuous life, Uber has clashed with regulators around the world - and more often than not it has come out on top. Its tactic has often been to arrive in a city, break a few rules, and then apologise when it's rapped over the knuckles. Some regulators have backed down, others have run the company out of town. But a wave of bad publicity about its corporate culture, its lax attitude to checks on its drivers and its treatment of this freelance army seems to have spurred TfL into action. Make no mistake, Uber will use every legal avenue to fight this ban. It will argue that consumers, in the shape of the millions of mainly young Londoners who rely on its service, will be seriously let down if it can no longer operate. But the courts will have to balance that with the serious concerns about public safety raised by TfL. On social media, a fierce debate has broken out over the decision. Twitter user @Gabbysalaza_ said that she was "annoyed" at the decision as Uber allowed to her to get out of "uncomfy" situations if out at night. Labour MP Wes Streeting, chairman of the All Party Parliamentary Group on Taxis, called the decision "courageous" in a tweet. James Le Lacheur called the decision a "victory" on Twitter. General secretary of the Licensed Taxi Drivers' Association Steve McNamara said it was the "right call" not to re-license Uber in London. "This immoral company has no place on London's street," he said. Across the world, Uber has been pushed out or denied access by local licensing laws. Legislators in Darwin, in Australia's Northern Territory, are debating whether to allow Uber to return after a raft of reforms designed to open up the ride-sharing market were announced. Uber is currently fighting a test case in Denmark after four if its drivers were found to be in violation of the country's laws requiring taxi meters. David Leam, of London First which campaigns for business in the capital, said London needed to be open to new ideas, business and services. He said: "This will be seen as a Luddite decision by millions of Londoners and international visitors who use Uber, and will also hit London's reputation as a global tech hub." 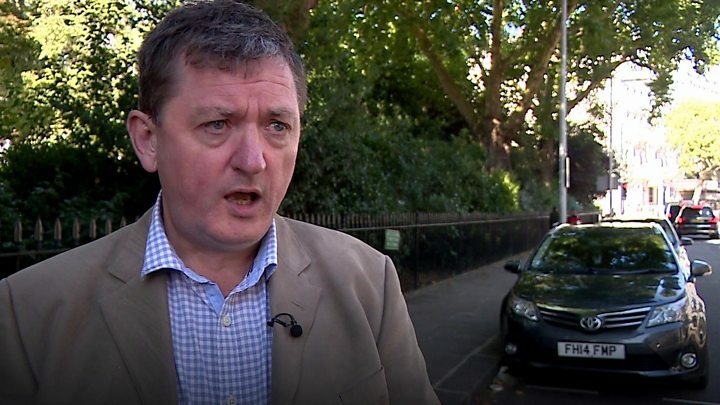 James Farrar, chairman of the Independent Workers' Union of Great Britain's United Private Hire Drivers branch, said it was a "devastating blow" for the drivers who now face losing their jobs. "To strip Uber of its licence after five years of laissez-faire regulation is a testament to a systemic failure at TfL," he said.